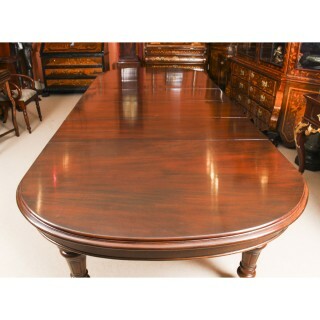 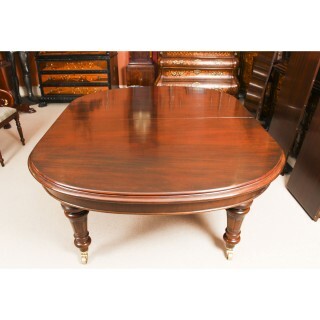 This is a magnificent antique Victorian solid mahogany D-end dining table which can seat ten diners in comfort, C1870 in date. 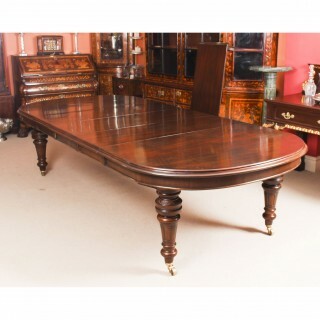 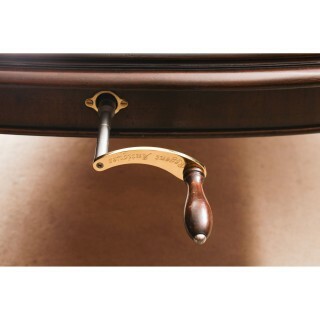 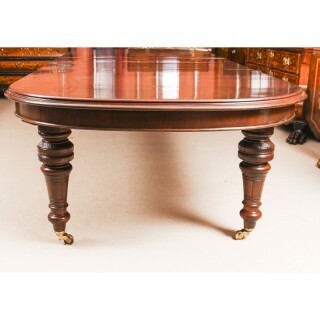 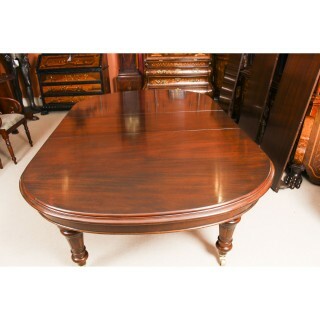 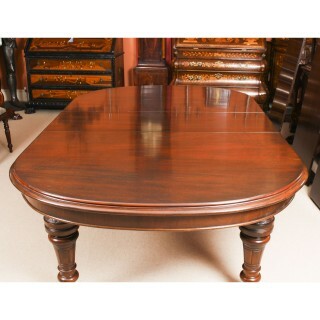 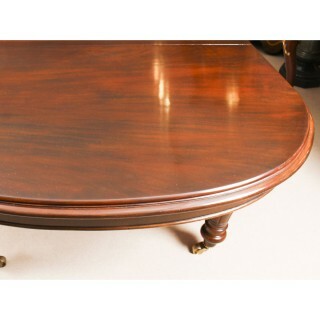 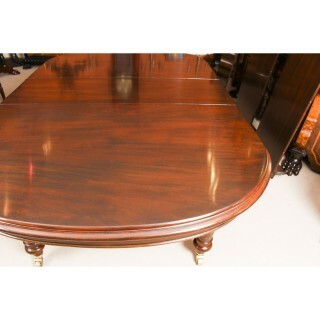 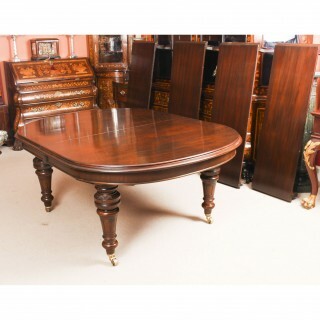 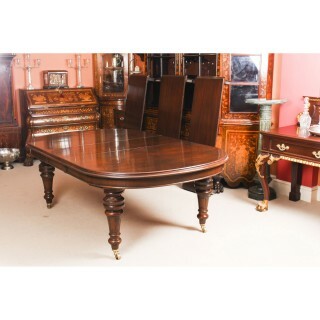 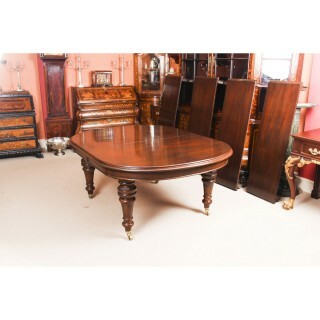 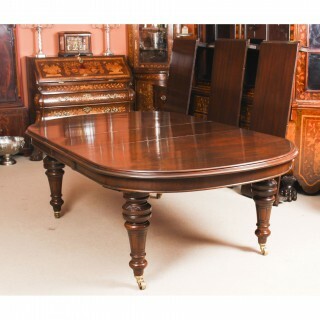 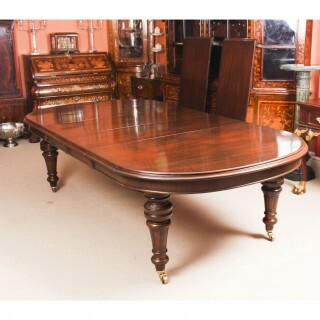 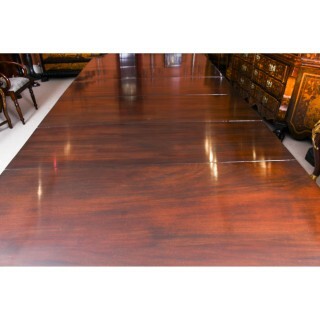 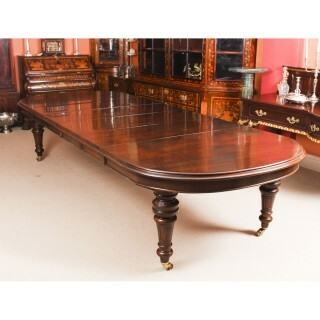 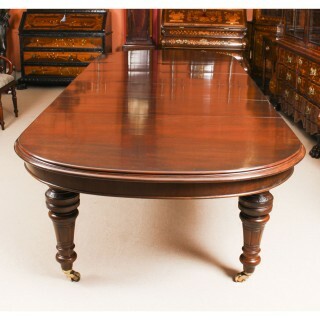 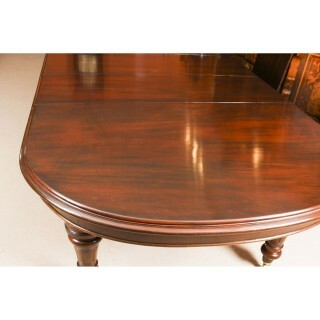 This beautiful table is in stunning flame mahogany and has four leaves of approximately 50 cm each, which can be added or removed as required to suit the occasion by a special winding mechanism.. 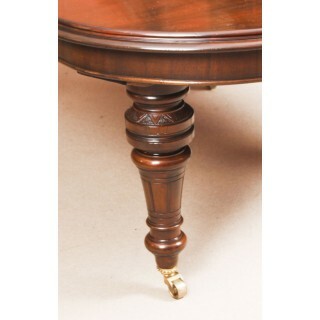 It stands on four elegantly carved and turned baluster shaped legs that terminate in elegant brass and porcelain castors.